Go over to Arc It and say goodbye to Amanda, as she will no longer be adding content to the site. Her site is a fun and packed resource for ARC notebook lovers and I am sad to see her go. East…West…Everywhere posted an interesting review of the Montblanc JFK Navy Blue ink. 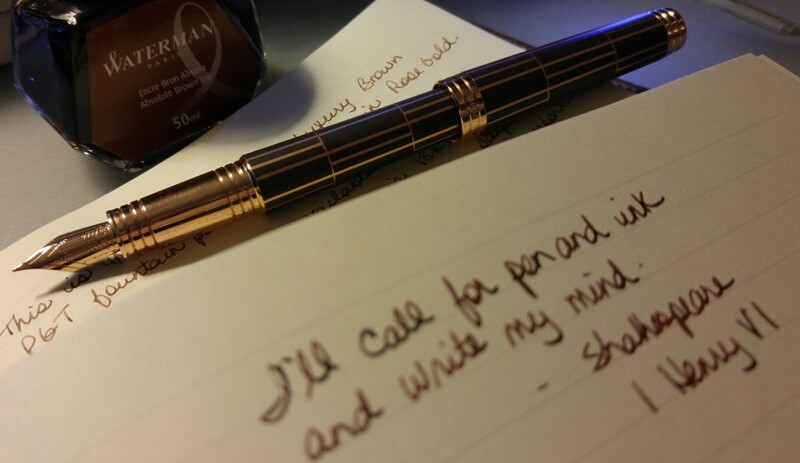 Unlike other Montblanc inks the author has tried JFK isn’t picky about which paper it performs best on. Interesting. And I stumbled across Max Kirin’s tumblr with great writing prompts and snappy content. Max also has a youtube channel that looks heavy on video game playing and light on writing advice, but hey it’s a distraction when you find yourself unable to sleep. Again. Sigh.